How can one describe something so magnificent, when one's own words do not deserve to? A movement of morality, a powerful revelation of injustice, reality at its crispest, climatic edge: Les Misérables was all this and so much more. It denounced the monarchy, and pushed the stereotypical envelope through a heart-clutching tragedy. One of the greatest works of French Literature of all time, Hugo created characters who breathed and died, people of sin, corruption, and redemption. Such brutal honesty caused the French populace to erupt in resentment, acknowledgement, and even an appetite yearning for revolution . The sparks of this "red, black" war, as with any other, were the daring remarks of those individuals who saw such injustice, and declared the revelation to all who would listen. Their lives were discounted to the cause they believed in, and justice became the only thing of value, worth life and death combined. Yet, the advance came from a conscientiousness, a morality too powerful to selfishly disregard. As a whole, Les Misérables was a theme of this morality: in social classes, in life, and in the worth of the people's final voice. Consider the perspective of the classes. Fantine was thrown into poverty in quite a literal sense, forced to become a corrupt woman at the lowest possible point so as to provide for her child. Although immoral, the desperate desire for her daughter's well-being overcame the injustice and evils poverty used to plague the her. Tragically told, her tale impressed itself upon the mind of Jean Valjean, a redeemed thief. Of the middle class, he raised the young Cosette in such a situation. As a result, she was ignorant to the battle behind the floral curtains, a bloody revolution. Men such as Javert, however, who was raised in a jail, working his way up, believed that even the poor could morally earn their way, and those who could not were flawed. Debts had to be paid forever in his mind. Those of the university, including the young Marius and his cronies, were from different backgrounds, gathered together to be the voice for a majoring populace too deep in their suffering to defend themselves. Each perspective lead to different morale beliefs, their actions reflecting such. All too often, the lines between right and wrong are gray, never clear to an individual because of how he sees it. The vision of man is always jaded with selfishness, eternally flawed. Empathy is the only thing that can create clear sight, and as it is unusual for those raised in luxury to imagine a different life, rarely does it occur. Tragedy, emotion, and passion as strongly pronounced as in Hugo's work opened the eyes of even the blindest wealthy. It angered some, but proved to others how desperate such a suffering was. No human should have had to live with nothing, while others basked in everything. The monarchy, the dictatorship, and the government as a whole rejected the voice of such people, until gunfire joined their cries. It is quite simple, even now, to declare that the few who stood alone during the rebellion were fools to do so. Bludgeoned, slaughtered, and martyred, the blood of angry men coated the streets of Paris, but it reminded all with brutal impact of their death and their cause. Even Javert could not live with himself after realizing that the men who he captured and tortured in jail could have changed, if only they had been given a chance. Morality is belief, a truth, and yet an opinion. There will never be anything entirely right, and nothing wrong will be found without an impetus of some kind. As Hugo's characters struggled with its redeeming concept, the author himself evolved the story to become a real movement. Those who perished were not just foolish, because their force was legitimate and true. 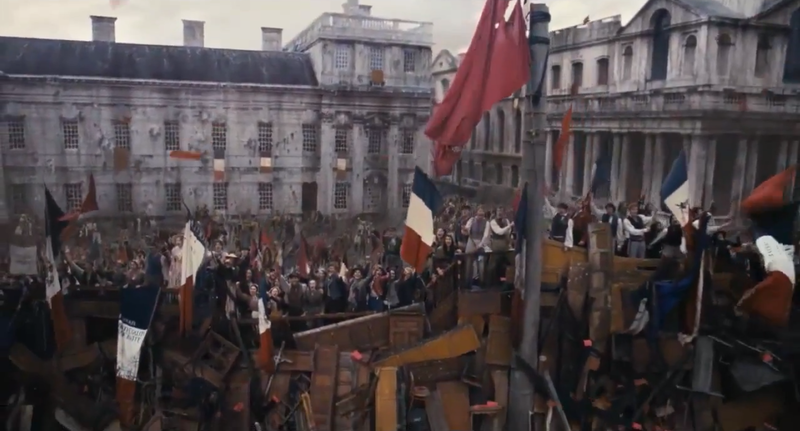 It was the justice in their belief that they came to represent in the end, making Les Misérables a representation of morality as one, with all its tones in shades of red, blue, and white. when tomorrow comes!" 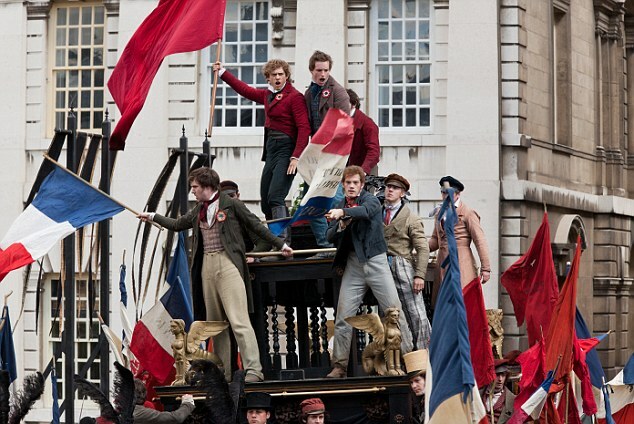 Do You Hear the People Sing, "Les Misérables"